Amidst all the controversy and drama surrounding Activision and the Call of Duty franchise, developer Treyarch completed and released a fantastic new addition to the series. It’s definitely a franchise favourite for me. Since Modern Warfare, I’ve much enjoyed each release, but more so for the gameplay than anything else. 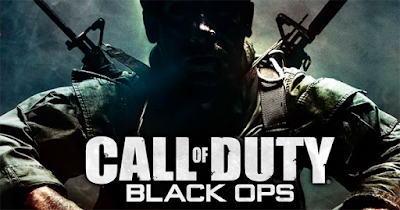 I find that the thrills of COD games are similar to summer Hollywood blockbuster movies – they’re full of intensity and action, but rarely offer anything more than that quick thrill. With Black Ops, it feels as though they’re trying to create something deeper than just a straight-up shooter tied together with an end-of-the-world-type plot. The story this time around, seems more cleverly crafted, and is better told than previous entries. In COD: Black Ops, you play as a government Black Ops operative during the Cold War era named Alex Mason. The Black Ops unit is a special government task force that carries out missions behind the enemy lines. The game is played in flashbacks, where in “current” day, Mason is strapped to a chair and interrogated by his ominous captors. His captors try to uncover a mystery, one that surrounds Mason, unfortunately, Mason’s memory is fragmented, offering little help. But with each piece of memory that returns is a mission that you will get to playthrough. Through your “travels”, you get the opportunity to fight in Russia, Vietnam, Cuba, Laos and so forth. What I enjoyed about the game is the more grounded approach to storytelling. Since most of the game is played through and narrated by Alex Mason, it gives it more of a human feel and connection. The story itself tries to do something new which I really appreciated in its use of twists and turns (it’s nothing new by conventional storytelling standards, but at least it’s new for COD-standards). In the previous games, the stories really took a backseat to the action, with such convoluted and over the top storylines. The more grounded and “real” approach is appreciated this time around. I’m enjoying the online play a lot more than Modern Warfare as well… mainly because, well, I’m actually getting kills! I guess because the guns aren’t as modern and high-tech, that it puts players at a more even playing field. Since the last game, I don’t think I’ve become a better player, but the lo-fi guns probably bring the good players down a notch. Either that or I’ve been playing against a bunch of n00bs. My KPD is up, so that’s all that really matters for me. Much like Treyarch’s other release (COD: World at War), they’ve attached the Zombie Survival mode, where you and 3 other players defend yourselves against waves upon waves of the undead. It’s ho-hum; if you’ve played it on W@W you’ve played it here. I gave it a few shots, but I think my urge to shoot zombies has died down. My favourite ‘online’ mode is what they call Combat Training. For some reason, it’s an online mode, but it’s not really online. Basically, it functions the same way as the multiplayer, but with only Team Deathmatch and Free For All modes available. The kicker is that you don’t play against human players, but against AI bots (hence the strangeness that this mode’s only offered when you connect online). So it includes all the fun that multiplayer brings, but with less kids swearing at you over Xbox Live. The cool thing is that your friends can join you if you invite them into your game (the only real online component of it). If you’re worried about difficulty and that bots are too easy to kill, you’d be wrong. These bots are not pushovers. You definitely get the bang for your buck in Black Ops. Chances are, if you’re a gamer, you’ve already played it, and if not, then you had no intention to in the first place. It’s definitely a shooter, so if you’re sick of this genre, there’s not much in the box that will convince you otherwise. That said, the box does have a lot to offer. Til next time, later geeks!